Go behind the scenes with Megan Hilty as she prepares for her Live From Lincoln Center concert! 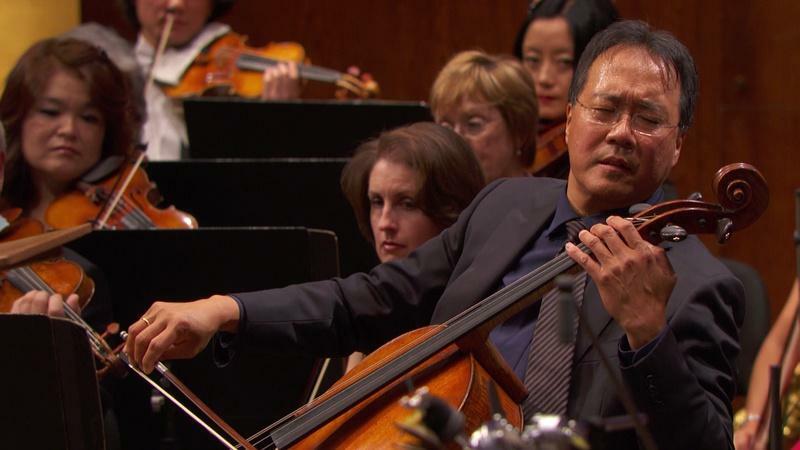 BONUS VIDEO: Watch the New York Philharmonic perform "Pizzicato Polka", only available online. "Providing Enough Space": A panel discussion on ending the school to prison pipeline. Filmed on September 24, 2018 at the Cinepolis Cinema in Chelsea, NYC. The two-time Tony Award winner charms America with songs from Broadway and beyond. The adventurous musical artist shows us how he does it in this milestone concert. The show-stopping performer brings her singular wit and artistry to Lincoln Center. Four of Broadway's brightest stars - Sutton Foster; Leslie Odom, Jr.; Stephanie J. Block; and Andrew Rannells - light up the stage in a series of solo concerts specially produced for Lincoln Center. Shot in the intimate Appel Room overlooking Central Park, these shows reveal new sides of their singular talents and feature delightful special guests. Look out for Season Two of "Stars In Concert," starting Friday, May 10, featuring three more of Broadway's iconic leading ladies - Annaleigh Ashford, Cynthia Erivo, and Megan Hilty. Check out this selection of bonus performances and short features from the current season. 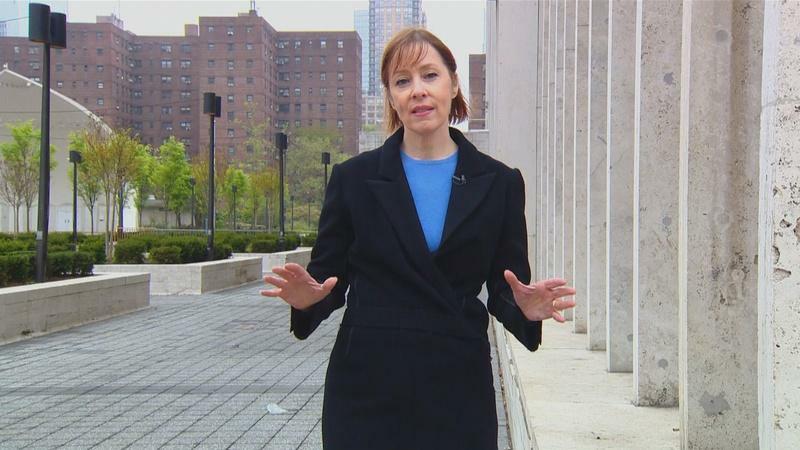 Find out more about Lincoln Center for the Performing Arts. Web Exclusive! Claire Chase and Rand Steiger: Mostly Mozart's "50 for 50"
The flutist and founder of the International Contemporary Ensemble (ICE) premieres a new work. Web Exclusive! Nathan Davis, dulcimer: Mostly Mozart Festival's "50 for 50"
Web Exclusive! "Shiver Lung 2" by Ashley Fure: Mostly Mozart's "50 for 50"
Web Exclusive! Claire Chase, flute and piccolo: Mostly Mozart's "50 for 50"
Lincoln Center's Mostly Mozart Festival celebrates 50 years of memorable moments in classical music with both a look back and a look ahead. Signature performances of Mozart's first and last symphonies by the Mostly Mozart Festival Orchestra, led by music director Louis Langrée, and an early piano concerto performed by Richard Goode, anchor a program that also reminds us that the legacy of Mozart is alive and well, leading the adventurous toward fresh new possibilities. Watch the complete world-premiere performance of David Lang's monumental work for 800 voices, the public domain, right here on PBS.org. High quality headphones or properly placed stereo speakers are recommended. Read what New York Times music critic Anthony Tommasini had to say about the public domain. 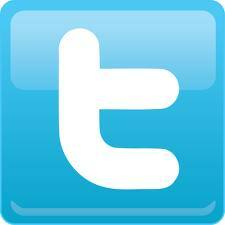 Learn more about the Mostly Mozart Festival in the Program Notes. Nominated for the 2017 Emmy® Award for Best Musical Director, David Lai. 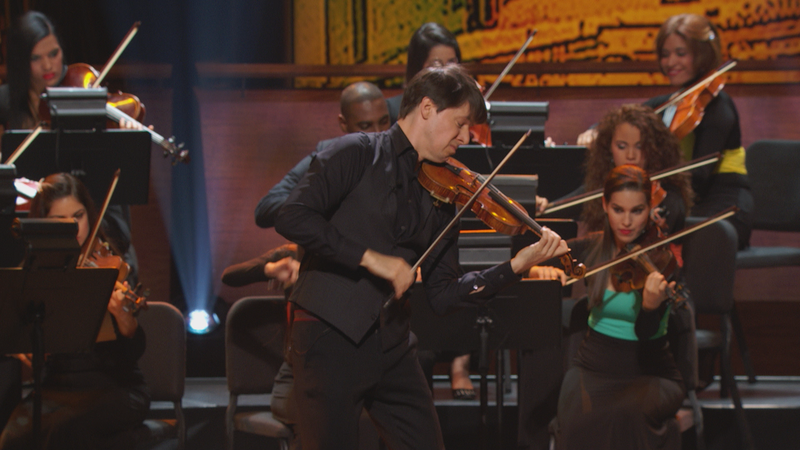 In the spring of 2016, a delegation of performing artists embarked on a groundbreaking adventure – to the shores of Cuba, a historic gesture designed to “extend the hand of friendship to the Cuban people.” One of the trip’s ambassadors was the celebrated violinist Joshua Bell. Joshua has now brought the magic of that cultural encounter back home to the U.S. He's joined by the celebrated Chamber Orchestra of Havana, Dave Matthews, and other special guests including the "Poet of Havana," Carlos Varela. Learn more about this performance in the Program Notes. One New York music icon remembers another. The prolific performer rocks out with musicians from Cuba. The golden-voiced singer-songwriter talks about shining a light on other people's music. The pianist Lang Lang has been hailed as one of the greatest classical performers of our time - an artist whose virtuosity and passion are matched by his consummate sense of showmanship. Now he’s created this love letter to the city he considers his adoptive home, joined by special guests Andra Day, Kurt Elling, Lisa Fischer, Sean Jones, Lindsey Stirling, Suzanne Vega and Rufus Wainwright. It’s the complex portrait of a city in transition, delivered in words and music by artists who have been touched by its unsettling magic. 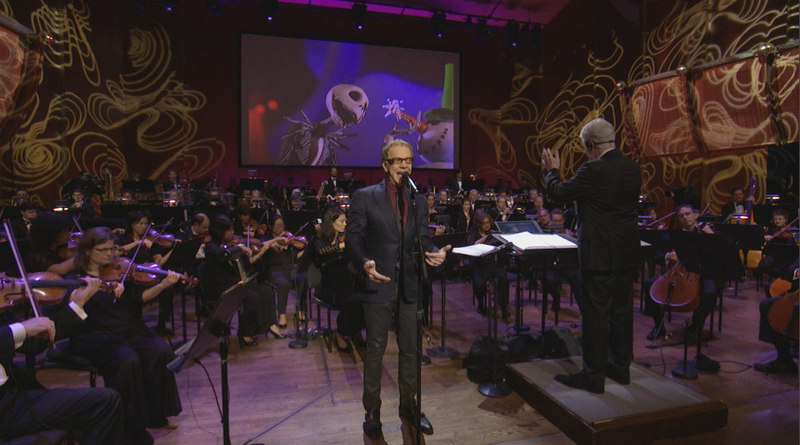 The weirdness and wonder of Danny Elfman's music and Tim Burton's visions. Tim Burton's prolific musical collaborator descends on Lincoln Center with an 88-piece orchestra and a colorful assortment of fans and fanatics, climaxing in performances of suites from movies like Batman, Beetlejuice, Edward Scissorhands, and The Nightmare Before Christmas. Renée Fleming, Andrea Bocelli and Jamie Barton highlight one of opera's favorite events. Two of opera's oddest, most exciting female roles played by two of opera's great singers. The opera star muses on the challenges of keeping your composure on and off the stage. 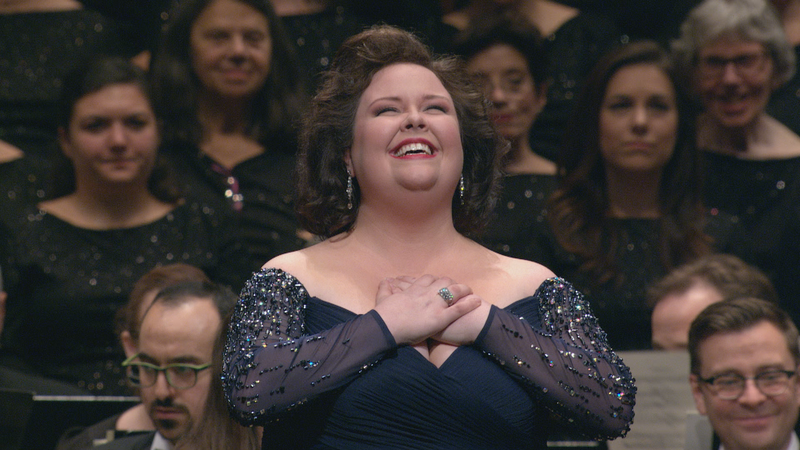 Opera star Jamie Barton talks about two musical families that improve lives through song. 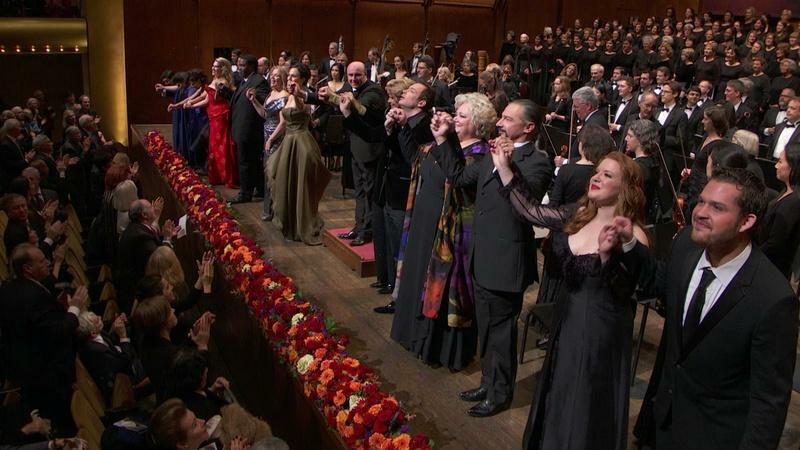 A perennial highlight of the opera season returns to PBS with a star-studded galaxy of great voices. This year, Renée Fleming and 2015 Richard Tucker Award winner Jamie Barton are joined by Andrea Bocelli, Angela Gheorghiu, Lawrence Brownlee, Christine Goerke, Isabel Leonard and Piotr Beczala, along with the fresh new face of Nadine Sierra. 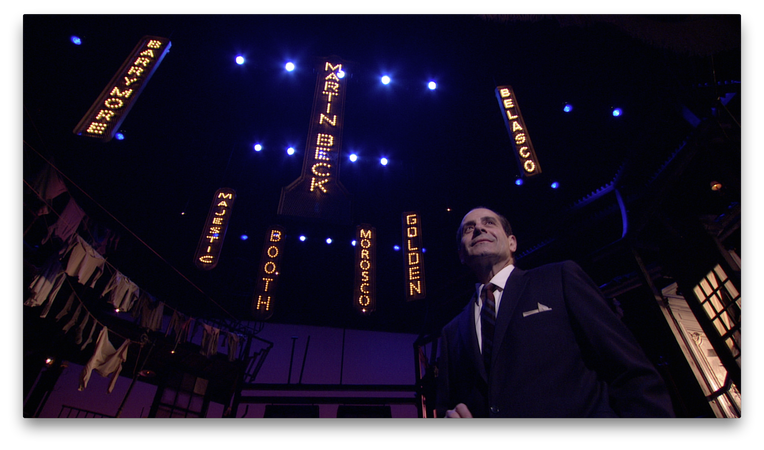 James Lapine's tribute to a life in the theater, starring Tony Shalhoub and Andrea Martin. Creators and cast members talk about the dizzying, Tony Award-winning set of "Act One." Even for this versatile actress, playing multiple roles isn't as easy as it looks. Santino Fontana: Playing "Moss Hart"
Actor Santino Fontana describes how he approached the demanding role of Moss Hart. Few have captured the magic of the theatre better than Moss Hart, a poor kid from the Bronx who went on to become a lion of Broadway. The writer of classic comedies with George S. Kaufman and the director of the original production of My Fair Lady, his memoir has captivated theater lovers for over 50 years. 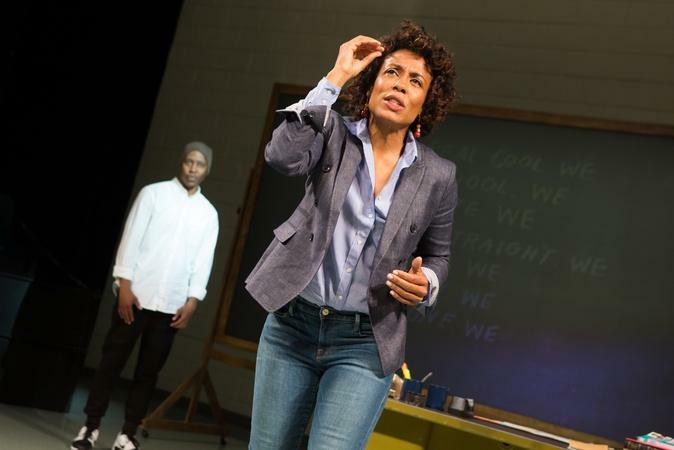 Now another lion of the theater, James Lapine, has fittingly reimagined this memoir for the stage. Lincoln Center Theater's gorgeous production pulls out all the stops, creating a world as vivid and transformative as the stage itself, with a first-rate cast led by Tony Shalhoub, Andrea Martin and Santino Fontana. 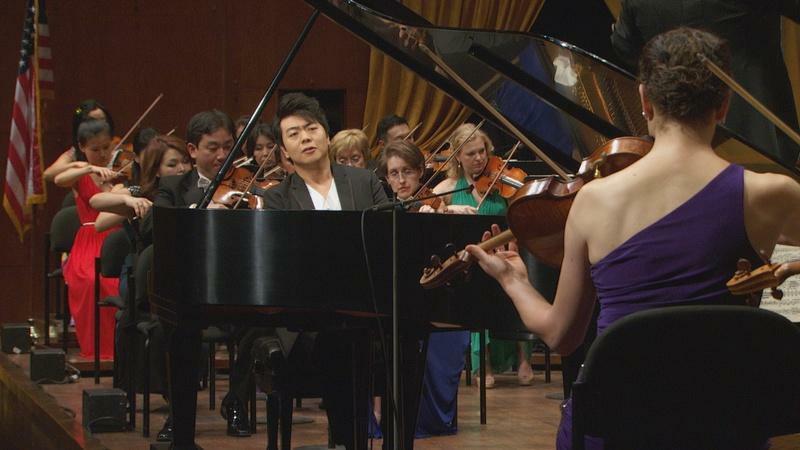 Virtuoso pianist Lang Lang joins the New York Philharmonic for its 2015 Opening Gala. Celebrated pianist Lang Lang returns to Lincoln Center for a performance of Edvard Grieg's bracing Piano Concerto, and maestro Alan Gilbert leads the New York Philharmonic in a performance of Beethoven's Seventh Symphony, on a special night marking not only the opening of the Philharmonic's 2015-16 season but the dedication of the newly christened David Geffen Hall. 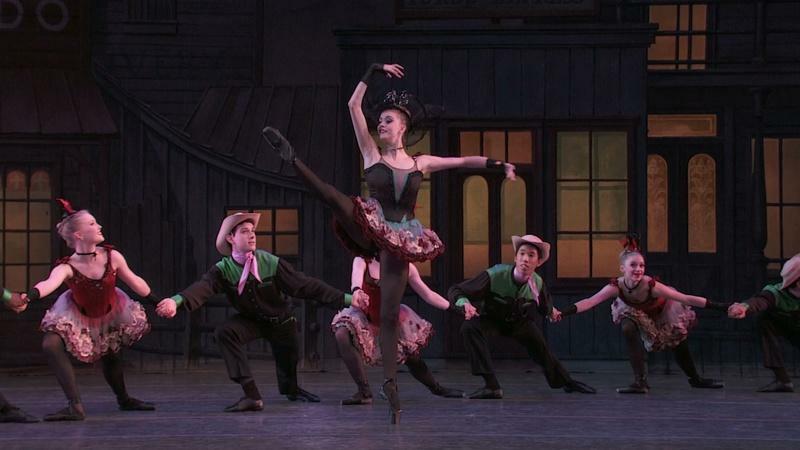 The critically acclaimed program featuring ballet's next generation returns to PBS. 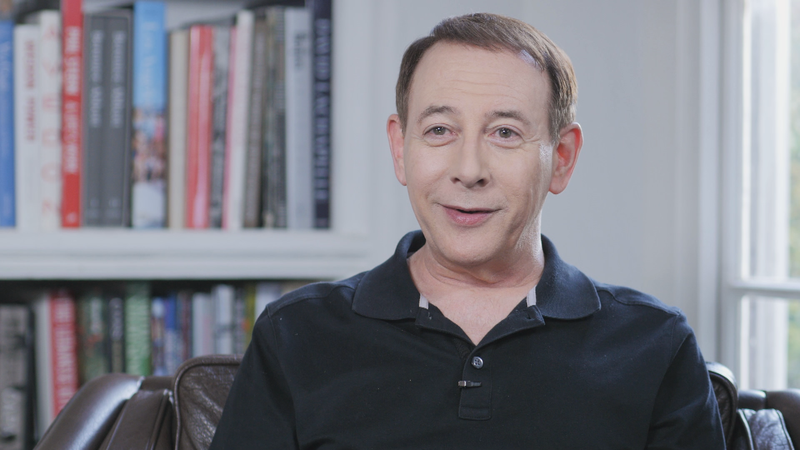 The 2014 Tony Award winner proves why he's one of Broadway's best-loved performers. 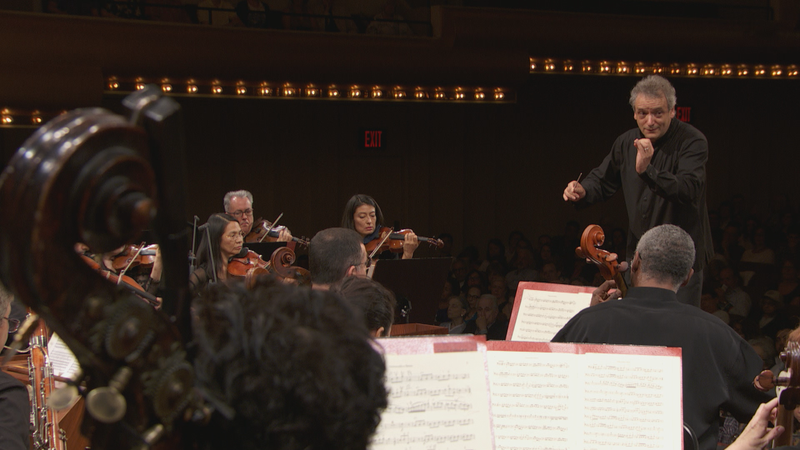 For more episodes of Live From Lincoln Center available online, visit our Video Gallery. 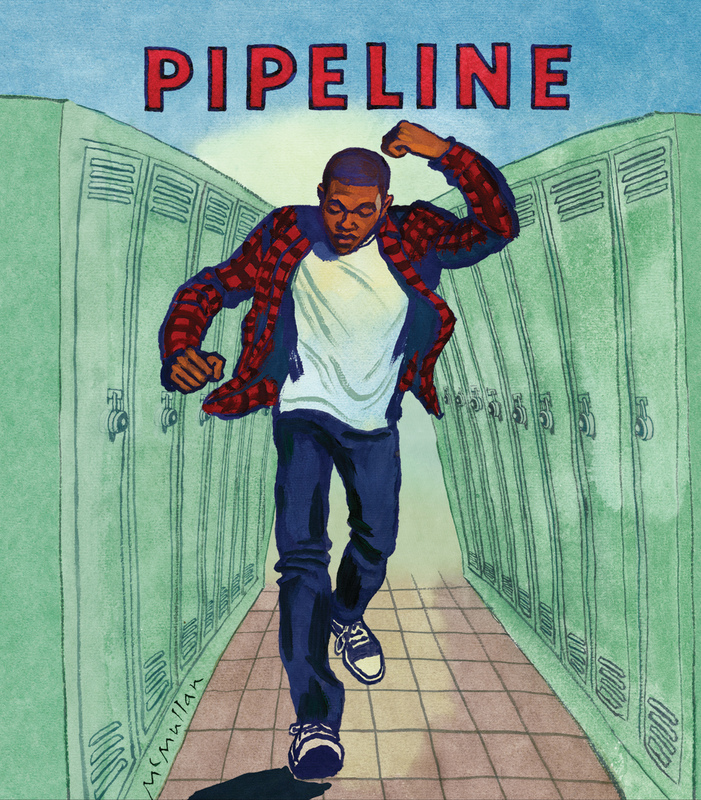 As a companion to February 8th's PBS premiere of Pipeline, CLICK HERE for an education guide, created by Lincoln Center Education. For additional interviews and performances from featured artists, and to learn more about what happens at Lincoln Center, visit the Live From Lincoln Center Video Gallery. The stars of the PBS special tell why the legacy of Sinatra lives on.